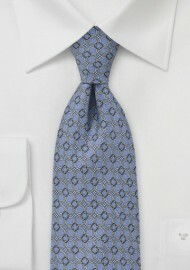 This graphic ring-patterned tie is a great statement piece against pale yellows, bold navys and linen whites. The periwinkle tone is great for springtime events, but also works well going from day to night – or office to outing – in a snap. The pattern is detailed with a variant shade of periwinkle, as well as navy blue and faded gold. 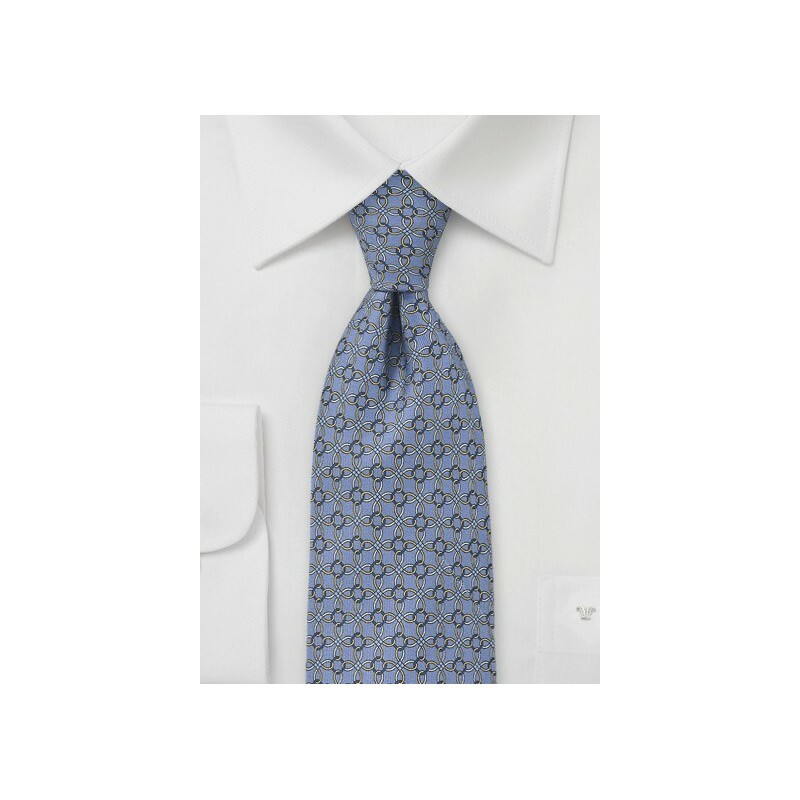 This men’s necktie is made of 100% Italian silk and is a trademark design from the highly esteemed Cantucci Spring Collection. Available in an assortment of other colorways.